I made this painting while on a little retreat in a guest house near Cesis, Latvia. 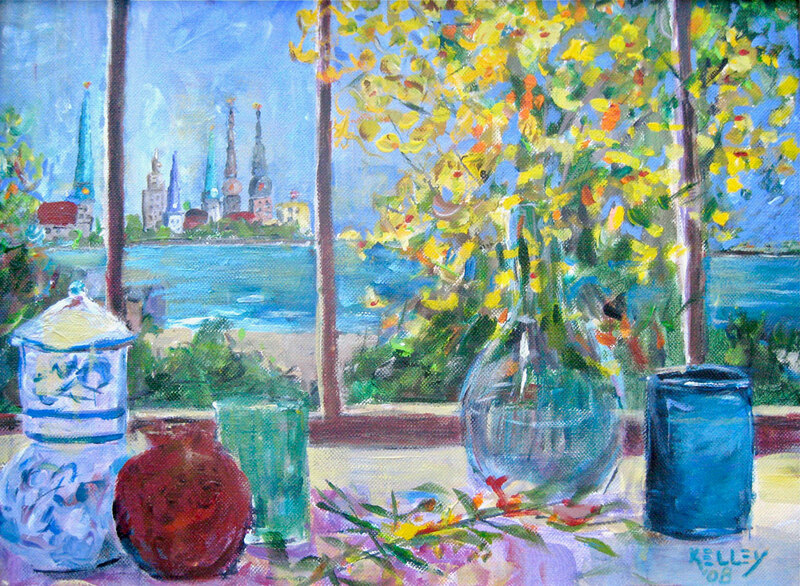 I started painting a classic still life/floral but then thought about how Henri Matisse often placed his still life compositions in front of open windows, I decided to make the back drop an open window with my favorite panorama, the skyline of Riga. I brought it home and my wife made me promise to never sell it. It now hangs in our Family Room. Details:Acrylic on stretched canvas; 12 x 16 inches; 30.4 x 40.6 cm; acrylic on canvas; painting during the BBPrice:Not for sale.